"You see, before he came down here, it never snowed. And afterwards, it did. If he weren't up there now, I don't think it would be snowing. Sometimes you can still catch me dancing in it. "On a hill overlooking a town is a large old house where an inventor created his masterpiece but he never had the time to finish it. This left Edward without real hands and having to live with scissors for hands. 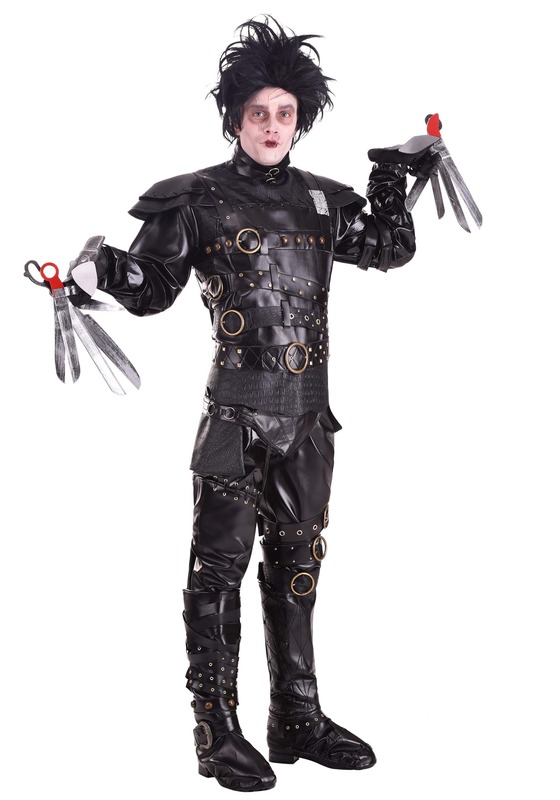 Now you can look just like the kindhearted creation when you wear this Grand Heritage Edward Scissorhands costume. This is a great look for fans of the classic 1990 film.